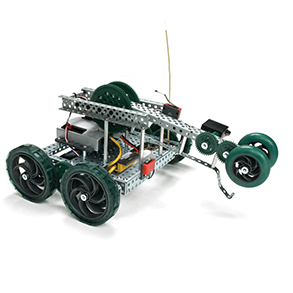 The PLTW program is designed to serve middle and high school students of diverse backgrounds, helping them all to become high school, college and career ready, from those already interested in STEM-related fields to those who are more inspired by the application of STEM than they are by traditional math and science courses. PLTW classes are taught in school during the school day, and every PLTW instructor receives extensive training as well as ongoing support in the courses they teach. While the STEM subject matter is rigorous, the approach is never rigid. That’s because the PLTW program provides a flexible curriculum platform, which schools can customize to meet the specific needs of their academic environment. In addition, PLTW schools can tap into the generous support and active involvement of some of America’s leading corporations, philanthropic foundations, and prestigious colleges and universities. Their efforts help ensure that PLTW classrooms have the latest technology, materials and equipment, and that PLTW students are learning the most up-to-date information found in such fields as information technology, engineering design, alternative energy and ecotechnology. They provide assistance with the development and revision of PLTW coursework and, in the case of universities, opportunities for college credit. Annual studies and surveys of the PLTW program have shown it to be a launching pad for college and professional careers and a boost for academic performance. PLTW students achieve significantly higher scores in reading, mathematics and science than other career and technical education students. They earn higher GPAs as freshmen in college. And PLTW alumni are studying engineering and technology in greater numbers than the national average, with a higher retention rate in college engineering, science and related programs than non-PLTW students. As the nation’s leading provider of rigorous and innovative STEM education, our vision is to ignite the spark of ingenuity, creativity and imagination within all students. Indeed, by partnering with those in the classroom and boardroom, PLTW is preparing our students to become the most innovative and productive in the world. To find more information about Project Lead The Way and take the first steps on a pathway of imagination, innovation and learning, talk with your teacher, counselor or principal. Or go online and visit our website at www.pltw.org. This unit uses solid modeling software (a sophisticated mathematical technique for representing solid objects) as part of the design process. Utilizing this design approach, students understand how design influences their lives. Students also learn sketching techniques and use descriptive geometry as a component of design, measurement and computer modeling. Students brainstorm, research, develop ideas, create models, test and evaluate design ideas, and communicate solutions. Students trace the history, development and influence of automation and robotics. They learn about mechanical systems, energy transfer, machine automation and computer control systems. Students acquire knowledge and skills in problem solving, teamwork collaboration and innovation. Using Python® as a primary tool, students develop computational-thinking skills and tackle challenges like designing apps to solve real-world problems for clients. In Computer Science Essentials, students will use visual, block-based programming and seamlessly transition to text-based programming with languages such as Python to create apps and develop websites, and learn how to make computers work together to put their design into practice. They’ll apply computational thinking practices, build their vocabulary, and collaborate just as computing professionals do to create products that address topics and problems important to them.